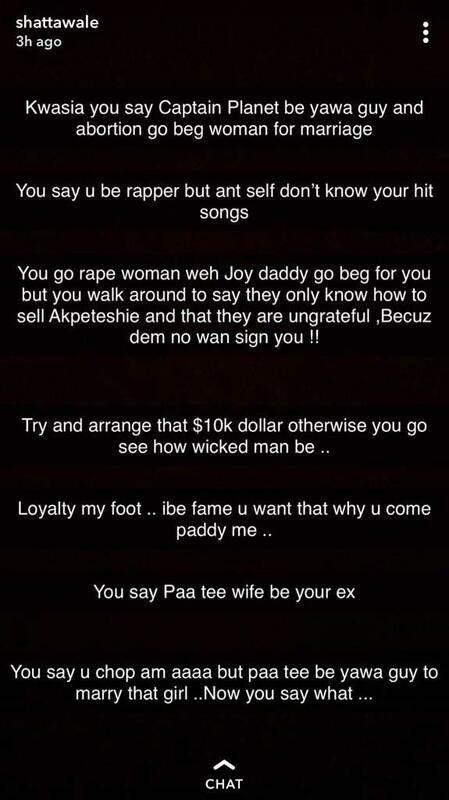 Shatta Wale has turned a sell out after he sacked Pope Skinny from his camp. 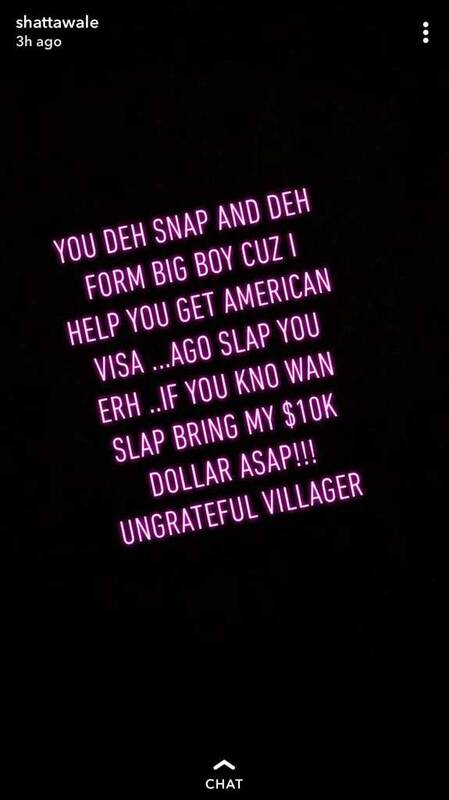 Since yesterday, the head of Shatta Movement family has been releasing all he filla he has ever shared with the man who he once referred to as his Linquist. 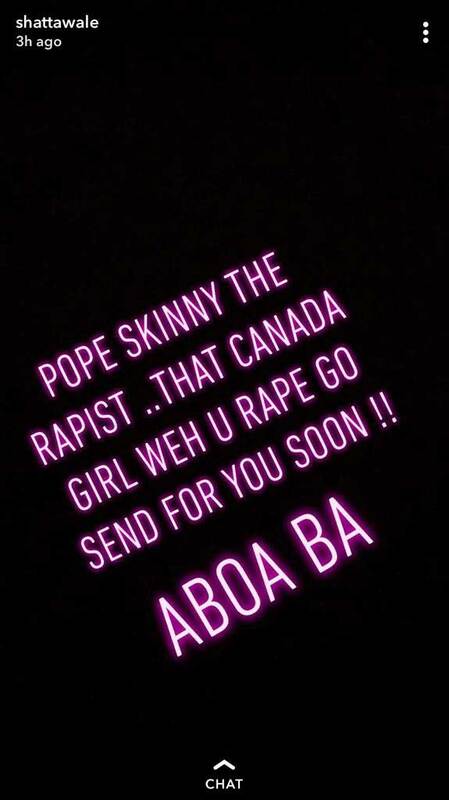 Among other things Shatta Wale has revealed how Pope Skinny raped Canadian based girl. He again raped another girl and was only saved by some top executive at Joy Daddy bitters. 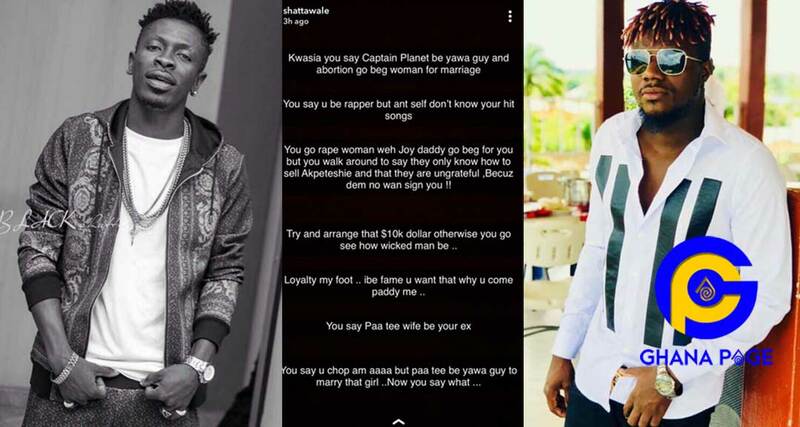 Shatta Wale also revealed that Pope Skinny told him Captain Planet is a “yawa guy” and Captain Planet’s colleague, Abortion begged a woman to marry him. 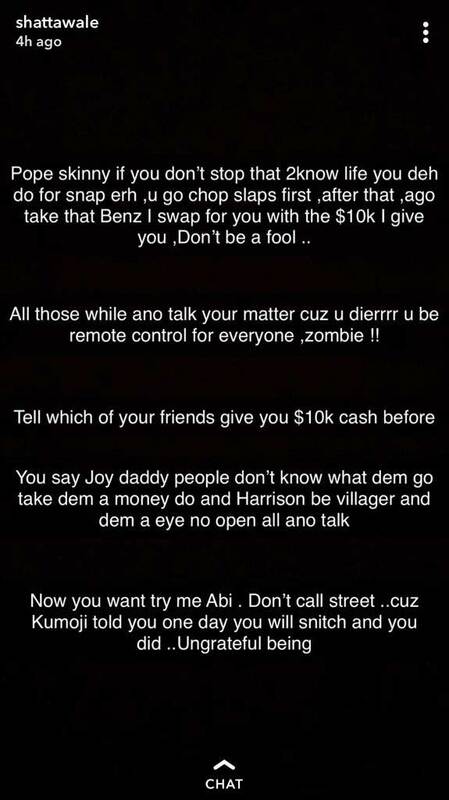 Shatta Wale went on to talk about how he secured Visa for Pope Skinny and also gave him 10,000 dollars to top up and get his current Benz. Shatta Wale announced over the weekend that he has parted way with Pope Skinny for the second time and some few others. According to Shatta Wale, these people were fake and were preventing his true fans from coming closer to him. 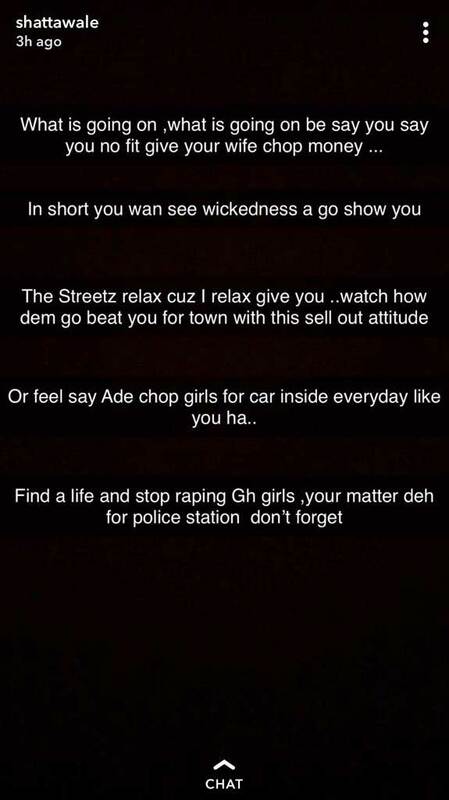 The post Shatta Wale drops every filla Pope Skinny has ever shared with him online appeared first on GHANAPAGE™.